“Now the thing about time is that time isn’t really real. It’s just your point of view, how does it feel to you? Researchers from the Moscow Institute of Physics and Technology teamed up with colleagues from the U.S. and Switzerland and returned the state of a quantum computer a fraction of a second into the past. They also calculated the probability that an electron in empty interstellar space will spontaneously travel back into its recent past. The study is published in Scientific Reports. “This is one in a series of papers on the possibility of violating the second law of thermodynamics. 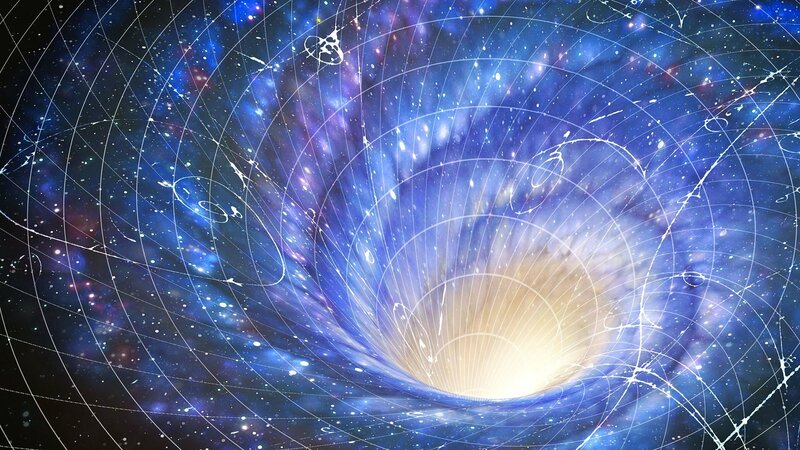 That law is closely related to the notion of the arrow of time that posits the one-way direction of time from the past to the future,” said the study’s lead author Gordey Lesovik, who heads the Laboratory of the Physics of Quantum Information Technology at MIPT. Most laws of physics make no distinction between the future and the past. For example, let an equation describe the collision and rebound of two identical billiard balls. If a close-up of that event is recorded with a camera and played in reverse, it can still be represented by the same equation. Moreover, it is not possible to distinguish from the recording if it has been doctored. Both versions look plausible. It would appear that the billiard balls defy the intuitive sense of time. However, imagine recording a cue ball breaking the pyramid, the billiard balls scattering in all directions. In that case, it is easy to distinguish the real-life scenario from reverse playback. What makes the latter look so absurd is our intuitive understanding of the second law of thermodynamics—an isolated system either remains static or evolves toward a state of chaos rather than order. Most other laws of physics do not prevent rolling billiard balls from assembling into a pyramid, infused tea from flowing back into the tea bag, or a volcano from “erupting” in reverse. But these phenomena are not observed, because they would require an isolated system to assume a more ordered state without any outside intervention, which runs contrary to the second law. The nature of that law has not been explained in full detail, but researchers have made great headway in understanding the basic principles behind it. The physicist explains that the evolution of the electron state is governed by Schrödinger’s equation. Although it makes no distinction between the future and the past, the region of space containing the electron will spread out very quickly. That is, the system tends to become more chaotic. The uncertainty of the electron’s position is growing. This is analogous to the increasing disorder in a large-scale system—such as a billiard table—due to the second law of thermodynamics. “However, Schrödinger’s equation is reversible,” adds Valerii Vinokur, a co-author of the paper, from the Argonne National Laboratory, U.S. Although this phenomenon is not observed in nature, it could theoretically happen due to a random fluctuation in the cosmic microwave background permeating the universe. The team set out to calculate the probability to observe an electron “smeared out” over a fraction of a second spontaneously localizing into its recent past. It turned out that even across the entire lifetime of the universe—13.7 billion years—observing 10 billion freshly localized electrons every second, the reverse evolution of the particle’s state would only happen once. And even then, the electron would travel no more than a mere one ten-billionth of a second into the past. Large-scale phenomena involving billiard balls and volcanoes obviously unfold on much greater timescales and feature an astounding number of electrons and other particles. This explains why we do not observe old people growing younger or an ink blot separating from the paper. Stage 3: Time reversal. A special program modifies the state of the quantum computer in such a way that it would then evolve “backwards,” from chaos toward order. This operation is akin to the random microwave background fluctuation in the case of the electron, but this time, it is deliberately induced. An obviously far-fetched analogy for the billiards example would be someone giving the table a perfectly calculated kick. The researchers found that in 85 percent of the cases, the two-qubit quantum computer returned back into the initial state. When three qubits were involved, more errors happened, resulting in a roughly 50 percent success rate. According to the authors, these errors are due to imperfections in the actual quantum computer. As more sophisticated devices are designed, the error rate is expected to drop. Interestingly, the time reversal algorithm itself could prove useful for making quantum computers more precise. “Our algorithm could be updated and used to test programs written for quantumcomputers and eliminate noise and errors,” Lebedev explained. In the 1970s, at the height of the Cold War, American military planners began to worry about the threat to US warplanes posed by new, radar-guided missile defenses in the USSR and other nations. In response, engineers at places like US defense giant Lockheed Martin’s famous “Skunk Works” stepped up work on stealth technology that could shield aircraft from the prying eyes of enemy radar. The innovations that resulted include unusual shapes that deflect radar waves—like the US B-2 bomber’s “flying wing” design (above)—as well as carbon-based materials and novel paints. Stealth technology isn’t yet a Harry Potter–like invisibility cloak: even today’s most advanced warplanes still reflect some radar waves. But these signals are so small and faint they get lost in background noise, allowing the aircraft to pass unnoticed. China and Russia have since gotten stealth aircraft of their own, but America’s are still better. They have given the US the advantage in launching surprise attacks in campaigns like the war in Iraq that began in 2003. This advantage is now under threat. In November 2018, China Electronics Technology Group Corporation (CETC), China’s biggest defense electronics company, unveiled a prototype radar that it claims can detect stealth aircraft in flight. The radar uses some of the exotic phenomena of quantum physics to help reveal planes’ locations. It’s just one of several quantum-inspired technologies that could change the face of warfare. As well as unstealthing aircraft, they could bolster the security of battlefield communications and affect the ability of submarines to navigate the oceans undetected. The pursuit of these technologies is triggering a new arms race between the US and China, which sees the emerging quantum era as a once-in-a-lifetime opportunity to gain the edge over its rival in military tech. How quickly quantum advances will influence military power will depend on the work of researchers like Jonathan Baugh. A professor at the University of Waterloo in Canada, Baugh is working on a device that’s part of a bigger project to develop quantum radar. Its intended users: stations in the Arctic run by the North American Aerospace Defense Command, or NORAD, a joint US-Canadian organization. Baugh’s machine generates pairs of photons that are “entangled”—a phenomenon that means the particles of light share a single quantum state. A change in one photon immediately influences the state of the other, even if they are separated by vast distances. Quantum radar operates by taking one photon from every pair generated and firing it out in a microwave beam. The other photon from each pair is held back inside the radar system. Only a few of the photons sent out will be reflected back if they hit a stealth aircraft. A conventional radar wouldn’t be able to distinguish these returning photons from the mass of other incoming ones created by natural phenomena—or by radar-jamming devices. But a quantum radar can check for evidence that incoming photons are entangled with the ones held back. Any that are must have originated at the radar station. This enables it to detect even the faintest of return signals in a mass of background noise. Baugh cautions that there are still big engineering challenges. These include developing highly reliable streams of entangled photons and building extremely sensitive detectors. It’s hard to know if CETC, which already claimed in 2016 that its radar could detect objects up to 100 kilometers (62 miles) away, has solved these challenges; it’s keeping the technical details of its prototype a secret. Seth Lloyd, an MIT professor who developed the theory underpinning quantum radar, says that in the absence of hard evidence, he’s skeptical of the Chinese company’s claims. But, he adds, the potential of quantum radar isn’t in doubt. When a fully functioning device is finally deployed, it will mark the beginning of the end of the stealth era. CETC’s work is part of a long-term effort by China to turn itself into a world leader in quantum technology. 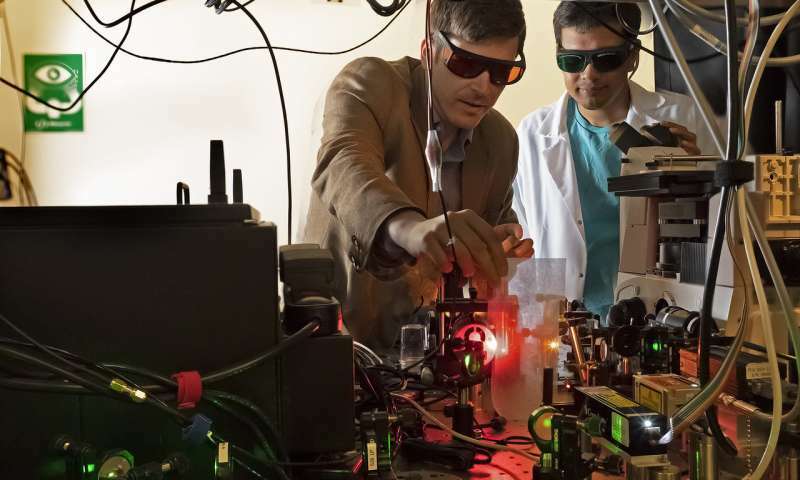 The country is providing generous funding for new quantum research centers at universities and building a national research center for quantum science that’s slated to open in 2020. It’s (China) already leaped ahead of the US in registering patents in quantum communications and cryptography. A study of China’s quantum strategy published in September 2018 by the Center for a New American Security (CNAS), a US think tank, noted that the Chinese People’s Liberation Army (PLA) is recruiting quantum specialists, and that big defense companies like China Shipbuilding Industry Corporation (CSIC) are setting up joint quantum labs at universities. Working out exactly which projects have a military element to them is hard, though. “There’s a degree of opacity and ambiguity here, and some of that may be deliberate,” says Elsa Kania, a coauthor of the CNAS study. China’s efforts are ramping up just as fears are growing that the US military is losing its competitive edge. A commission tasked by Congress to review the Trump administration’s defense strategy issued a report in November 2018 warning that the US margin of superiority “is profoundly diminished in key areas” and called for more investment in new battlefield technologies. One of those technologies is likely to be quantum communication networks. Chinese researchers have already built a satellite that can send quantum-encrypted messages between distant locations, as well as a terrestrial network that stretches between Beijing and Shanghai. Both projects were developed by scientific researchers, but the know-how and infrastructure could easily be adapted for military use. The networks rely on an approach known as quantum key distribution (QKD). Messages are encoded in the form of classical bits, and the cryptographic keys needed to decode them are sent as quantum bits, or qubits. These qubits are typically photons that can travel easily across fiber-optic networks or through the atmosphere. If an enemy tries to intercept and read the qubits, this immediately destroys their delicate quantum state, wiping out the information they carry and leaving a telltale sign of an intrusion. QKD technology isn’t totally secure yet. Long ground networks require way stations similar to the repeaters that boost signals along an ordinary data cable. At these stations, the keys are decoded into classical form before being re-encoded in a quantum form and sent to the next station. While the keys are in classical form, an enemy could hack in and copy them undetected. Michael Brodsky, one of the researchers, says he and his colleagues have been working on a number of technical challenges, including finding ways to ensure that the qubits’ delicate quantum state isn’t disrupted during transmission through fiber-optic networks. The technology is still confined to a lab, but the team says it’s now robust enough to be tested outside. “The racks can be put on trucks, and the trucks can be moved to the field,” explains Brodsky. It may not be long before China is testing its own quantum teleportation system. Researchers are already building the fiber-optic network for one that will stretch from the city of Zhuhai, near Macau, to some islands in Hong Kong. Researchers are also exploring using quantum approaches to deliver more accurate and foolproof navigation tools to the military. US aircraft and naval vessels already rely on precise atomic clocks to help keep track of where they are. But they also count on signals from the Global Positioning System (GPS), a network of satellites orbiting Earth. This poses a risk because an enemy could falsify, or “spoof,” GPS signals—or jam them altogether. Lockheed Martin thinks American sailors could use a quantum compass based on microscopic synthetic diamonds with atomic flaws known as nitrogen-vacancy centers, or NV centers. These quantum defects in the diamond lattice can be harnessed to form an extremely accurate magnetometer. Shining a laser on diamonds with NV centers makes them emit light at an intensity that varies according to the surrounding magnetic field. Ned Allen, Lockheed’s chief scientist, says the magnetometer is great at detecting magnetic anomalies—distinctive variations in Earth’s magnetic field caused by magnetic deposits or rock formations. There are already detailed maps of these anomalies made by satellite and terrestrial surveys. By comparing anomalies detected using the magnetometer against these maps, navigators can determine where they are. Because the magnetometer also indicates the orientation of magnetic fields, ships and submarines can use them to work out which direction they are heading. China’s military is clearly worried about threats to its own version of GPS, known as BeiDou. Research into quantum navigation and sensing technology is under way at various institutes across the country, according to the CNAS report. As well as being used for navigation, magnetometers can also detect and track the movement of large metallic objects, like submarines, by fluctuations they cause in local magnetic fields. Because they are very sensitive, the magnetometers are easily disrupted by background noise, so for now they are used for detection only at very short distances. But last year, the Chinese Academy of Sciences let slip that some Chinese researchers had found a way to compensate for this using quantum technology. That might mean the devices could be used in the future to spot submarines at much longer ranges. It’s still early days for militaries’ use of quantum technologies. There’s no guarantee they will work well at scale, or in conflict situations where absolute reliability is essential. But if they do succeed, quantum encryption and quantum radar could make a particularly big impact. Code-breaking and radar helped change the course of World War II. Quantum communications could make stealing secret messages much harder, or impossible. Quantum radar would render stealth planes as visible as ordinary ones. Both things would be game-changing. It’s also too early to tell whether it will be China or the US that comes out on top in the quantum arms race—or whether it will lead to a Cold War–style stalemate. But the money China is pouring into quantum research is a sign of how determined it is to take the lead. China has also managed to cultivate close working relationships between government research institutes, universities, and companies like CSIC and CETC. The US, by comparison, has only just passed legislation to create a national plan for coordinating public and private efforts. The delay in adopting such an approach has led to a lot of siloed projects and could slow the development of useful military applications. “We’re trying to get the research community to take more of a systems approach,” says Brodsky, the US army quantum expert. Still, the US military does have some distinct advantages over the PLA. The Department of Defense has been investing in quantum research for a very long time, as have US spy agencies. The knowledge generated helps explains why US companies lead in areas like the development of powerful quantum computers, which harness entangled qubits to generate immense amounts of processing power. The American military can also tap into work being done by its allies and by a vibrant academic research community at home. Baugh’s radar research, for instance, is funded by the Canadian government, and the US is planning a joint research initiative with its closest military partners—Canada, the UK, Australia, and New Zealand—in areas like quantum navigation. All this has given the US has a head start in the quantum arms race. But China’s impressive effort to turbocharge quantum research means the gap between them is closing fast. The demonstration, which used a new kind of graphene-based qubit, meaning how long it can maintain a special state that allows it to represent two logical states simultaneously, represents a critical step forward for practical quantum computing, the researchers say. Superconducting quantum bits (simply, qubits) are artificial atoms that use various methods to produce bits of quantum information, the fundamental component of quantum computers. Similar to traditional binary circuits in computers, qubits can maintain one of two states corresponding to the classic binary bits, a 0 or 1. But these qubits can also be a superposition of both states simultaneously, which could allow quantum computers to solve complex problems that are practically impossible for traditional computers. Recently, researchers have been incorporating graphene-based materials into superconducting quantum computing devices, which promise faster, more efficient computing, among other perks. Until now, however, there’s been no recorded coherence for these advanced qubits, so there’s no knowing if they’re feasible for practical quantum computing. In a paper published today in Nature Nanotechnology, the researchers demonstrate, for the first time, a coherent qubit made from graphene and exotic materials. These materials enable the qubit to change states through voltage, much like transistors in today’s traditional computer chips — and unlike most other types of superconducting qubits. Moreover, the researchers put a number to that coherence, clocking it at 55 nanoseconds, before the qubit returns to its ground state. “Our motivation is to use the unique properties of graphene to improve the performance of superconducting qubits,” says first author Joel I-Jan Wang, a postdoc in Oliver’s group in the Research Laboratory of Electronics (RLE) at MIT. Superconducting qubits rely on a structure known as a “Josephson junction,” where an insulator (usually an oxide) is sandwiched between two superconducting materials (usually aluminum). In traditional tunable qubit designs, a current loop creates a small magnetic field that causes electrons to hop back and forth between the superconducting materials, causing the qubit to switch states. To fabricate their qubit, the researchers turned to a class of materials, called van der Waals materials — atomic-thin materials that can be stacked like Legos on top of one another, with little to no resistance or damage. These materials can be stacked in specific ways to create various electronic systems. Despite their near-flawless surface quality, only a few research groups have ever applied van der Waals materials to quantum circuits, and none have previously been shown to exhibit temporal coherence. For their Josephson junction, the researchers sandwiched a sheet of graphene in between the two layers of a van der Waals insulator called hexagonal boron nitride (hBN). 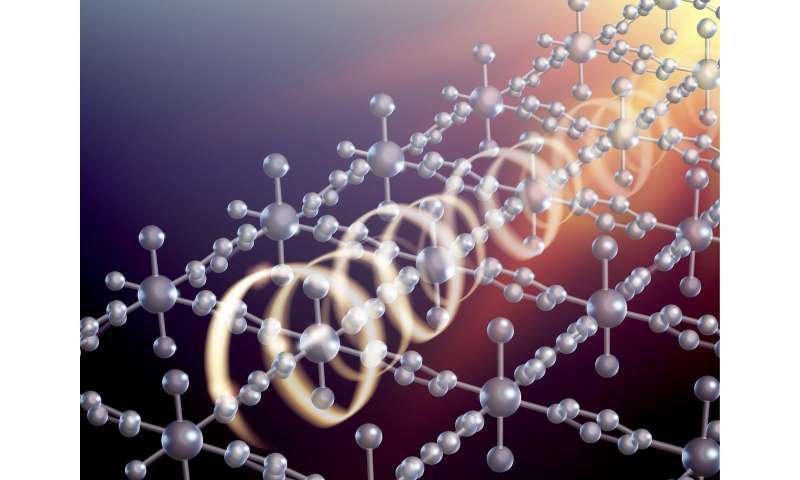 Importantly, graphene takes on the superconductivity of the superconducting materials it touches. The selected van der Waals materials can be made to usher electrons around using voltage, instead of the traditional current-based magnetic field. Therefore, so can the graphene — and so can the entire qubit. When voltage gets applied to the qubit, electrons bounce back and forth between two superconducting leads connected by graphene, changing the qubit from ground (0) to excited or superposition state (1). The bottom hBN layer serves as a substrate to host the graphene. The top hBN layer encapsulates the graphene, protecting it from any contamination. Because the materials are so pristine, the traveling electrons never interact with defects. This represents the ideal “ballistic transport” for qubits, where a majority of electrons move from one superconducting lead to another without scattering with impurities, making a quick, precise change of states. The work can help tackle the qubit “scaling problem,” Wang says. Currently, only about 1,000 qubits can fit on a single chip. Having qubits controlled by voltage will be especially important as millions of qubits start being crammed on a single chip. “Without voltage control, you’ll also need thousands or millions of current loops too, and that takes up a lot of space and leads to energy dissipation,” he says. Hacker attacks on everything from social media accounts to government files could be largely prevented by the advent of quantum communication, which would use particles of light called “photons” to secure information rather than a crackable code. The problem is that quantum communication is currently limited by how much information single photons can help send securely, called a “secret bit rate.” Purdue University researchers created a new technique that would increase the secret bit rate 100-fold, to over 35 million photons per second. “Increasing the bit rate allows us to use single photons for sending not just a sentence a second, but rather a relatively large piece of information with extreme security, like a megabyte-sized file,” said Simeon Bogdanov, a Purdue postdoctoral researcher in electrical and computer engineering. Eventually, a high bit rate will enable an ultra-secure “quantum internet,” a network of channels called “waveguides” that will transmit single photons between devices, chips, places or parties capable of processing quantum information. “No matter how computationally advanced a hacker is, it would be basically impossible by the laws of physics to interfere with these quantum communication channels without being detected, since at the quantum level, light and matter are so sensitive to disturbances,” Bogdanov said. “A source might generate a lot of photons per second, but only a few of them may actually be used to transmit information, which strongly limits the speed of quantum communication,” Bogdanov said. 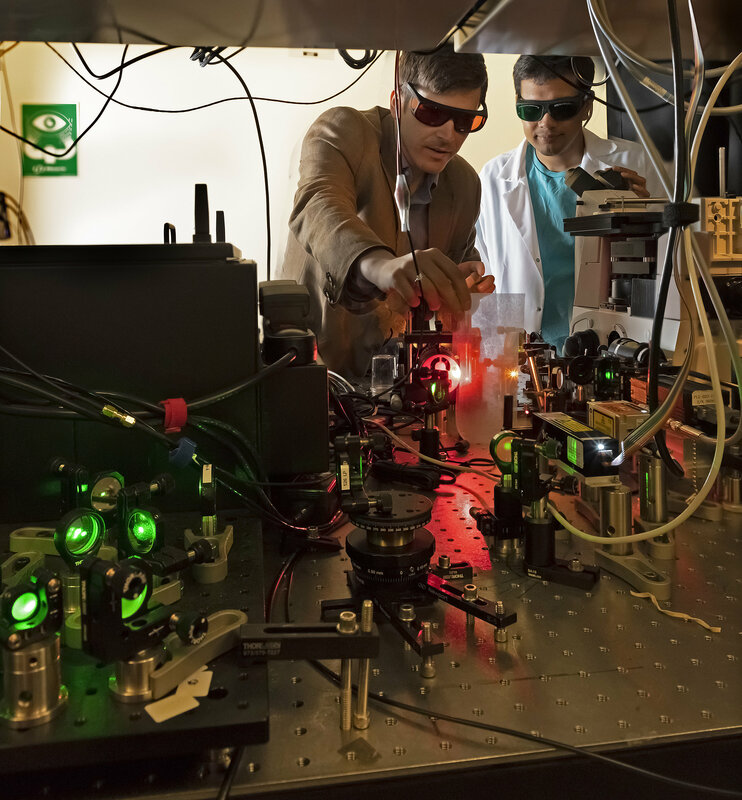 For faster quantum communication, Purdue researchers modified the way in which a light pulse from a laser beam excites electrons in a man-made “defect,” or local disturbance in a crystal lattice, and then how this defect emits one photon at a time. The nitrogen and the missing atom together formed a so-called “nitrogen-vacancy center” in a diamond with electrons orbiting around it. A metallic antenna coupled to this defect facilitated the interaction of photons with the orbiting electrons of the nitrogen-vacancy center, through hybrid light-matter particles called “plasmons.” By the center absorbing and emitting one plasmon at a time, and the nanoantenna converting the plasmons into photons, the rate of generating photons for quantum communication became dramatically faster. “We have demonstrated the brightest single-photon source at room temperature. Usually sources with comparable brightness only operate at very low temperatures, which is impractical for implementing on computer chips that we would use at room temperature,” said Vlad Shalaev, the Bob and Anne Burnett Distinguished Professor of Electrical and Computer Engineering. Kai Wang holding a sample that has multiple metasurface camera lenses. An international team of researchers led by The Australian National University (ANU) has invented a tiny camera lens, which may lead to a device that links quantum computers to an optical fibre network. Quantum computers promise a new era in ultra-secure networks, artificial intelligence and therapeutic drugs, and will be able to solve certain problems much faster than today’s computers. “It is the first of its kind to image several quantum particles of light at once, enabling the observation of their spooky behaviour with ultra-sensitive cameras,” said Associate Professor Sukhorukov, who led the research with a team of scientists at the Nonlinear Physics Centre of the ANU Research School of Physics and Engineering. 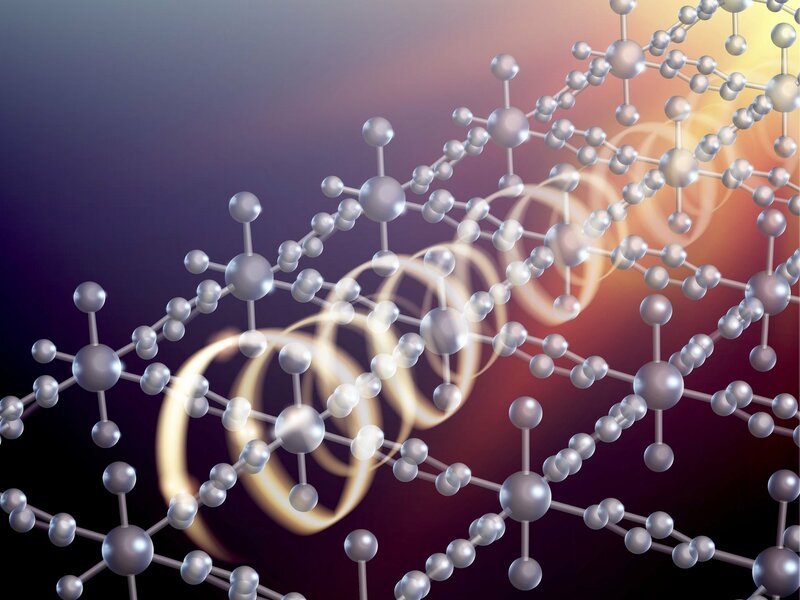 “Our device offers a compact, integrated and stable solution for manipulating quantum light. It is fabricated with a similar kind of manufacturing technique used by Intel and NVIDIA for computer chips.” he said. The use of redox-active organic molecules and magnetic metal ions as molecular building blocks for materials represents a new strategy towards novel types of 2D materials exhibiting both high electronic conductivity and magnetic order. Credit: Kasper Steen Pedersen and We Love People. Chromium-chloride-pyrazine (chemical formula CrCl2(pyrazine)2) is a layered material, which is a precursor for a so-called 2-D material. In principle, a 2-D material has a thickness of just a single molecule and this often leads to properties very different from those of the same material in a normal 3-D version; not least of which, the electrical properties will differ. While in a 3-D material, electrons are able to take any direction, in a 2-D material they will be restricted to moving horizontally—as long as the wavelength of the electron is longer than the thickness of the 2-D layer. Graphene is the most well-known 2-D material. Graphene consists of carbon atoms in a lattice structure, which yields its remarkable strength. Since the first synthesis of graphene in 2004, hundreds of other 2-D materials have been synthesized, some of which may be candidates for quantum electronics applications. However, the novel material is based on a very different concept. While the other candidates are all inorganic—just like graphene—chromium-chloride-pyrazine is an organic/inorganic hybrid material. “The material marks a new type of chemistry, in which we are able to replace various building blocks in the material and thereby modify its physical and chemical properties. This cannot be done in graphene. For example, one can’t choose to replace half the carbon atoms in graphene with another kind of atom. Our approach allows designing properties much more accurately than known in other 2-D materials,” Kasper Steen Pedersen explains. “While in normal electronics, only the charge of the electrons is utilized, But also electron spin—which is a quantum mechanical property—is used in spintronics. This is highly interesting for quantum computing applications. Therefore, development of nano-scale materials which are both conducting and magnetic is most relevant,” Kasper Steen Pedersen notes. Besides quantum computing, chromium-chloride-pyrazine may be of interest in future superconductors, catalysts, batteries, fuel cells, and electronics in general. According to experts, quantum computers will be able to create breakthroughs in many of the most complicated data processing problems, leading to the development of new medicines, building molecular structures and doing analysis going far beyond the capabilities of today’s binary computers. Quantum computing is moving from theory and experimentation into engineering and applications. But now that quantum computing is going mainstream, it is incumbent on businesses and governments to understand its potential, for universities to beef up their teaching programs in quantum computing and related subjects and for students to become aware of promising new career paths. James Maxwell was the first to realize that light is able to travel in perfect circles within the fish-eye lens because the density of the lens changes, with material being thickest at the middle and gradually thinning out toward the edges.